Search campsites in Italy. Enjoy the outdoors, park life and fantastic countryside. You will find 144 camping sites in Italy. 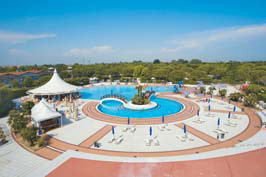 There aremany types of campsites and caravan sites in Italy. Our directory includes parks with diverse locations and facilities. If you are looking for campsites in forests, near lakes or on elsewhere in Italy then there are many parks to choose from. If you know the area of Italy you wish go to just use the area menu to the left. With 144 camping sites for tents, tourers and motorhomes to choose from you will be spoiled for choice. There are quiet camping sites in Italy, small parks with a few facilities to bigger holiday parks offering a wide range of activities and something for the whole family. Sant Angelo is located in the Adriatic Coast area of Italy. Sant Angelo Village with its beautiful setting, surrounded by woods and its own private beach, is a friendly, lively parc and is great for the whole family and well placed for sightseeing. View camping sites in the Adriatic Coast area. 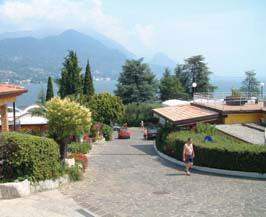 Weekend - Eurocamp is located in the Italian Lakes area of Italy. Offering the perfect blend of relaxation and organized activities, Weekend is popular with all the family. 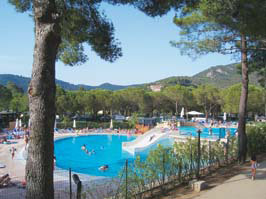 Weekend is a friendly, well maintained parc with lots of organised activities, including a busy animation and sports programme in high season that keeps children occupied all holiday long. View camping sites in the Italian Lakes area. 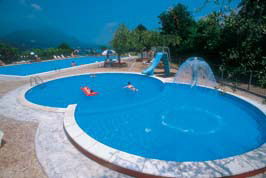 Eden - Eurocamp is located in the Italian Lakes area of Italy. Overlooking Lake Garda itself, Eden is perfect for touring and a favourite for watersports. Set on a steeply terraced hillside and enjoying spectacular lakeside views, Eden is truly a haven for all watersports enthusiasts. You can windsurf, waterski, sail a dinghy or paddle a canoe from the beaches at Salo or Baia del Vento less than a kilometre away. Il Collaccio is located in the Lazio area of Italy. Surrounded by the green, rolling hills of Umbria, this is a gorgeous parc with excellent facilities. This friendly, family-run parc is a real gem, with good facilities that include an excellent restaurant serving locally produced salami and tasty pizzas cooked in a traditional wood-oven, the whole region comes to eat here. View camping sites in the Lazio area. Ville Degli Ulivi is located in the Elba area of Italy. Set in a lovely bay on the islands south coast, this parc enjoys one of the best beaches on the island. With the shimmering blue waters of the Mediterranean on the doorstep, Ville Degli Ulivi really is a wonderful parc for beach lovers and watersports enthusiasts. View camping sites in the Elba area.